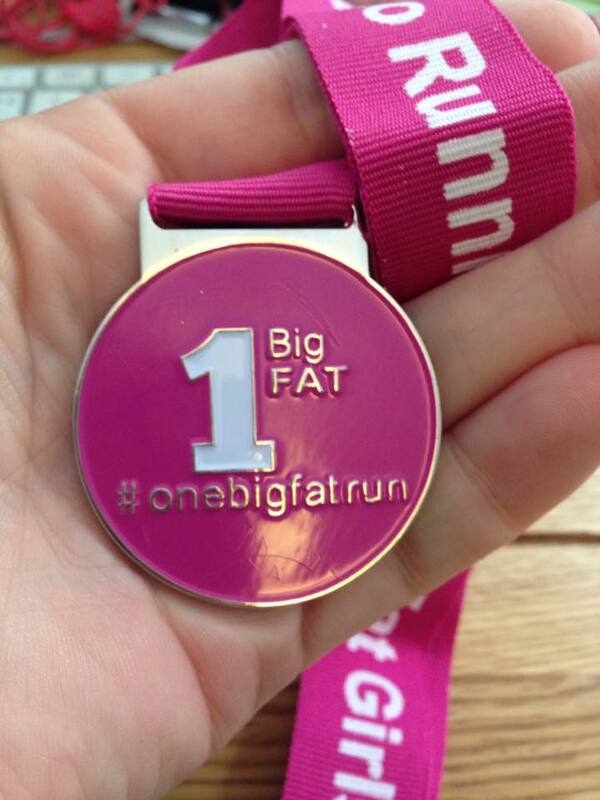 A one off bespoke medal for participants of One Big Fat Run virtual 5k event. 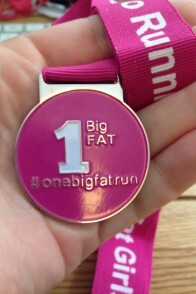 One Big Fat Run our FREE virtual 5K for plus sized runners has been going since August 2013 and for the very first time in April 2015 we decided to offer a bespoke limited edition bit of bling to help raise funds towards our London Marathon attempt…we still have some medals left so we have reduced the cost and will sell these until they run out. 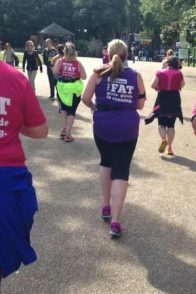 SHIPPING INFO – Please note the price of P&P has been included in the overal price of this item so when you are ordering this item make sure you have your address on your PayPal account. If you are adding other items to your order, the correct postage costs for those items must be met. 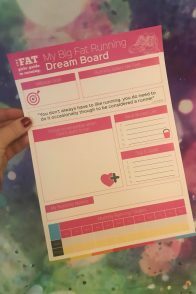 We batch send these out at the start of each month (so after the last Sunday of the month event) so please bare with us especially if you order at the start of the month…it may feel like a bit of a wait.